By Rachel Held Evans, on October 13, 2012. Mary Magagula and Evelyn Shongwe are my spiritual mothers and heroes. I met them while my husband and I lived in Swaziland for a year as volunteer missionaries. They opened their arms and hearts wide to me, treating me as one of their own, allowing me to walk in stride with them. While we were living there, this tiny southern African nation had the unhappy distinction of having the highest HIV infection rate per capita in the world. With a population hovering around one million, 40% of women ages 15 to 40 in this tiny tribal nation were HIV positive. Poverty, gender inequality, and long-standing cultural norms had created the perfect nightmare. The web was woven silently and slowly, and was a massive entanglement before it was noticed. Against this backdrop of national crisis and confusion, Mary and Evelyn are steady, peaceful, deliberate, and joy-filled ambassadors of hope. After she retired from a long career as a nurse, Mary took a part-time position in a private clinic, making good money and enjoying time with family. Yet when a local denominational leader challenged the area churches to do something about the AIDS epidemic, she had a nagging suspicion God would not leave her at the cushy clinic job. Finally, Mary told me, God asked her a question. “You’ve had a great career for yourself. Now what will you do for me?” She resigned her position and began exploring what she might be able to do with this monumental problem. Evelyn’s husband Cariot served as a pastor over twenty years before he was elected to district leadership in their denomination. Before he spoke the words that shook Mary, he and Evelyn had personally ministered to hundreds of people in their churches who were affected by or infected with HIV. When Mary stepped forward, she had a ready-made partner in Evelyn. Not really knowing where to begin, they decided to do an assessment of the needs in their community. Going door to door in the slum nearest their own houses, they found more injustice, pain, and death in the first day than they could have imagined. They saw a thirty year old woman laying in her own filth and vomit, huddled in a closet; they saw men in the prime of life unable to get out of bed, let alone take care of their families; they met twelve year olds who had become the oldest living person in their homes. What amazes me is that this did not paralyze them. Evelyn told me they would make it through one house visit, then weave back through the maze to their car where they would cry and pray before going back up to the next house. Confronted by such magnitude of disease and chaos and brokenness, they moved prayerfully past hopelessness and into action. Again and again and again. Now, six years later, the result of their bold perseverance is the Nazarene HIV/AIDS Task Force. It is the most valiant, courageous, and dedicated group of women I have ever encountered – an army of “gogos” (grandmothers) and an odd assortment of other unlikely heroes. Each Care Provider has up to 20 clients that she visits weekly. Care Providers instruct family members on caring for the sick; they encourage people with HIV to test and get treatment; and when supplies are available, they bring parcels of food and sanitary products. But the most important thing Care Providers bring their clients is hope. They share love and compassion with men, women, and children who are suffering both from their disease and the shame associated with it. Without words they communicate to whole communities that there is hope in treatment and Jesus Christ; that compassion brings healing; and that there can be freedom from shame and fear. Serving as the first Care Providers, Mary and Evelyn soon realized that people needed to learn how to live and thrive while being HIV positive. Although they began as a way for clients to gain strength from one another, the Task Force’s HIV support groups have now become universities of empowerment and activism. Support group members educate their communities, generate income with gardening and soap making projects, and often serve as Care Providers themselves. Women once beaten down and ready for defeat are now leading the charge into battle. Their gentle generals are two gogos themselves: Mary Magagula and Evelyn Shongwe. Every single day these two hear story after story of poverty, sexual assault and abuse, orphanhood, hunger, despair, and death. And every single day they confront that darkness with the peace that passes all understanding, joy unspeakable, hope unwavering, and love unlimited. These are women filled to overflowing with the Holy Spirit. These are women of valor. Michaele is an ordained elder in the Church of the Nazarene. She currently serves as the Equipping Pastor at Bethany First Church of the Nazarene in Oklahoma, where she connects people to service opportunities in the church and community. One of her passions is to help women find the gift of transparent relationships in which they can learn from one another. She and her husband Brent served as volunteer missionaries with the Swaziland Partnership in 2009-2010 and have plans to return often. 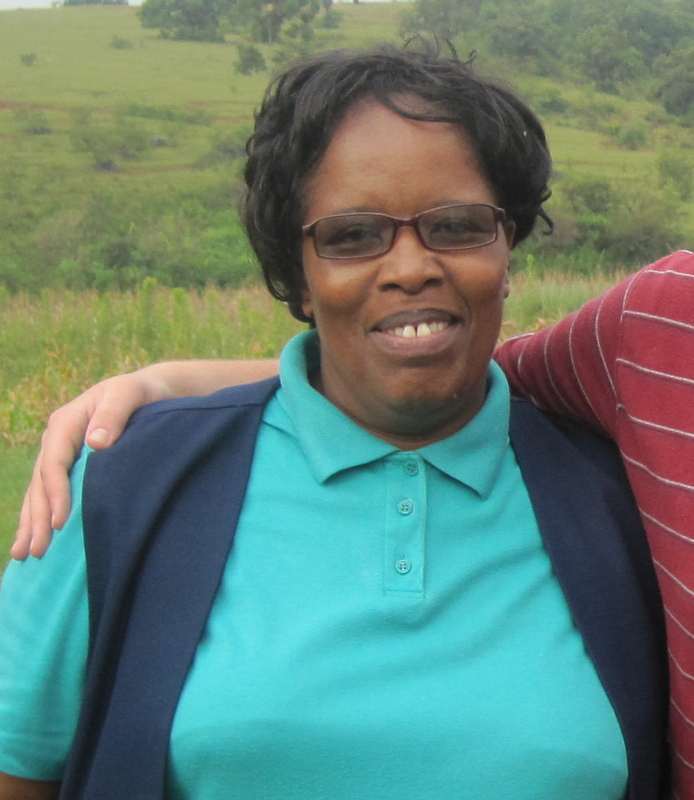 Evelyn and Mary’s Task Force serves thousands of people all over Swaziland, operating solely on donations. Go to http://www.swazipartners.org/give to learn more about their ministry and give online.